Earlier this year, I was on the lookout for a project for a swap. 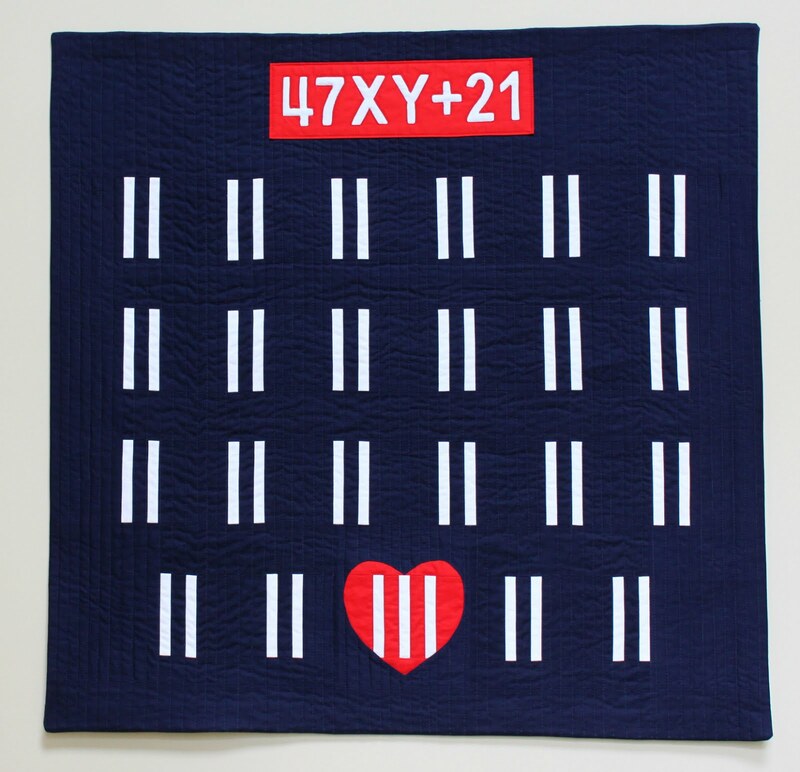 The guild I belong to—the NHMQG—had never done a swap before, and I wanted something interesting enough for quilters of different skill levels to sew. 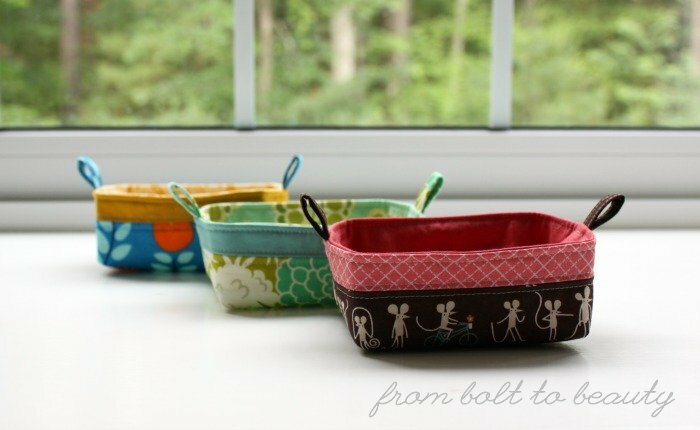 I had my eye on Fabric Mutt’s Pixie Basket tutorial since its debut, and those sweet mini fabric baskets seemed like a good contender. I was smitten! My first basket came together in less than an hour, and I had all of the necessary supplies on hand. (A layer of batting and muslin gives it some substance—no special interfacing required.) I showed my creation to the guild’s board and set the swap wheels in motion. The basket for my swap partner sewed up just as quickly as my trial run. That second basket led to two more (for quilty friends who needed a little pick-me-up), and baskets #3 and #4 led to even more (for teachers at the end of the school year). In fact, my year-to-date total is 15 Pixie Baskets! I’ve given away all but the first one I made, filling them up with gift cards or chocolates or fat quarters. Fifteen Pixies are too many to fit in one picture! 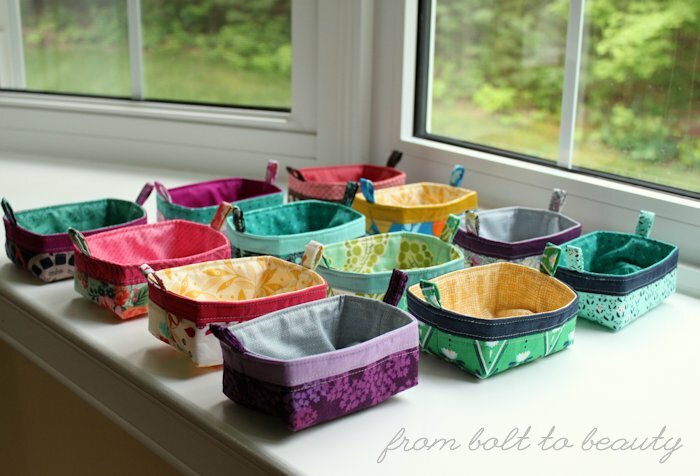 There are a few other patterns I’ve made en masse—that is, three or more at a time—including drawstring bags, totes, other totes, pouches, and tissue cozies. How about you? 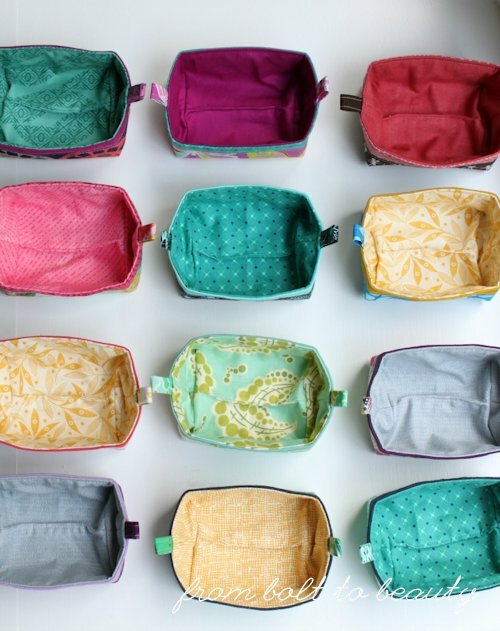 Do you have any go-to patterns when you need a quick gift (or 15!)? 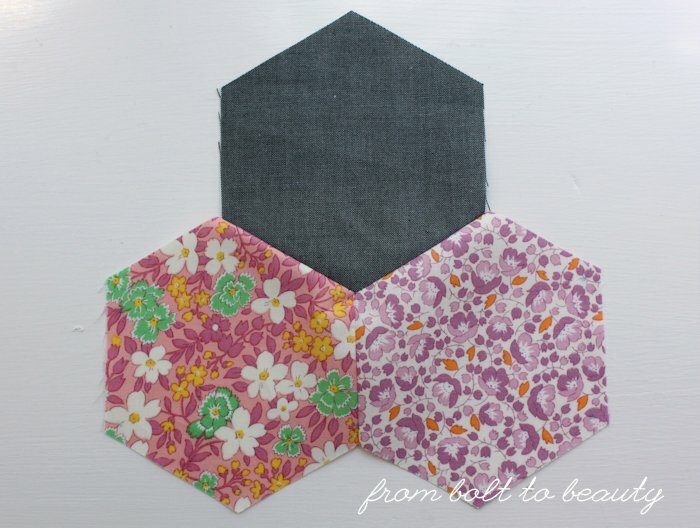 To read more about the finished hexagon quilt, click here. Earlier this year, I dispelled the myth that partial seams are something to avoid. As it turns out, they’re downright easy. So I was thinking, could the same be said of the dreaded Y-seam? 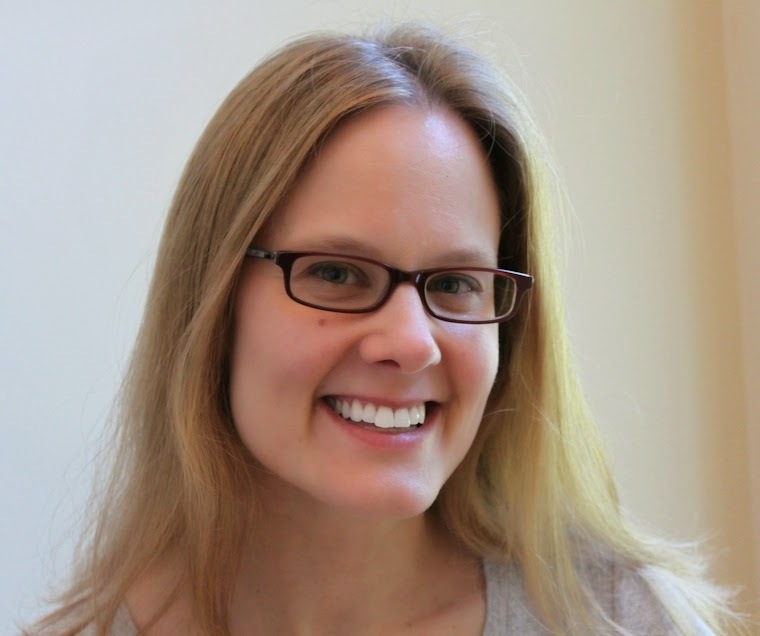 I decided that if I had more information upfront, with more pictures, I could have saved myself the hassle. Perhaps you learn that way, too? If so, here’s how I pieced my first-ever hexagon quilt, with Y-seams that I’m proud of! Alternatively, I could have cut the hexagons with a specialized ruler (like the Hex N More) or have bought precut hexagons. 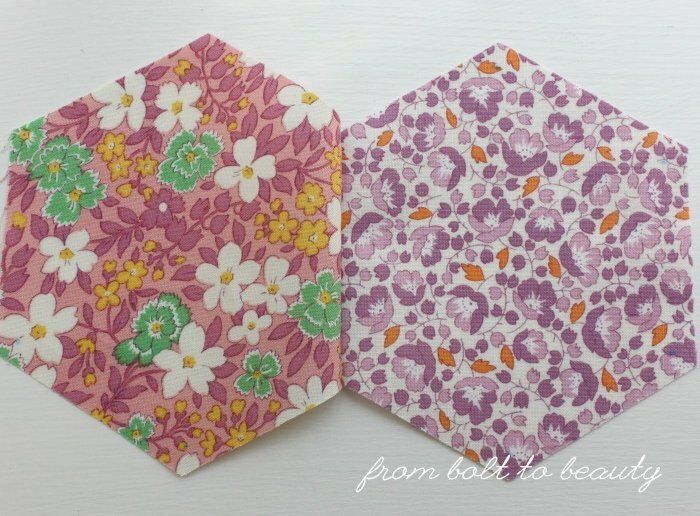 I made a template for marking my hexagons by running a piece of cardstock through my AccuQuilt GO! (I wouldn’t make a habit of cutting paper with my machine, but I figured doing it once in a while wouldn’t dull the die.) It is the same size as the fabric hexagons I cut. 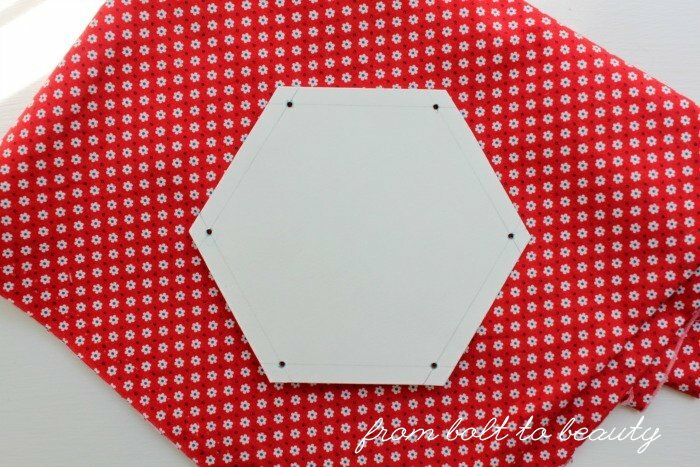 If you hand-cut your hexagons or bought precuts, you could do the same by tracing one of your hexagons onto cardstock and cutting it out. Then, using this template and a pencil, mark the six intersections on the wrong side of each hexagon. The instructions I consulted recommended laying out the hexagons, sewing the hexagons into columns, and then sewing the columns together. I had better luck, however, sewing my hexagons into groups of threes and then sewing those trios to others. When I’m working with groups of threes, I can consistently sew a nice Y-seam. When I add a group of three to another group of three, I still have good control and produce a beautiful Y-seam. On the other hand, when I’m working with columns, I’m always working with big, awkward chunks of fabric, and it’s harder to get my seams as precise as I would like. 1. 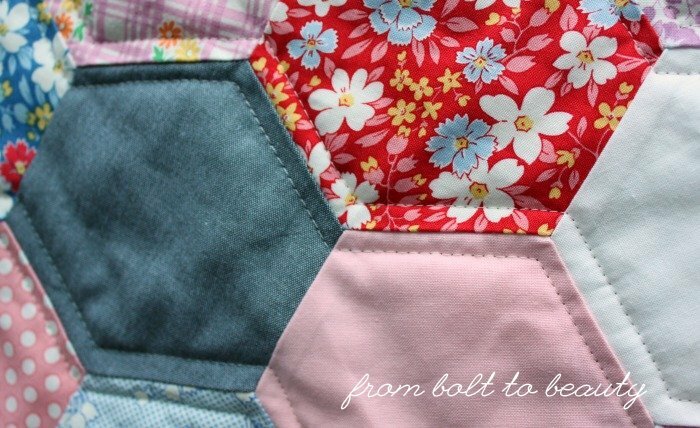 After deciding on the layout for your hexagons, sew two adjacent ones together. 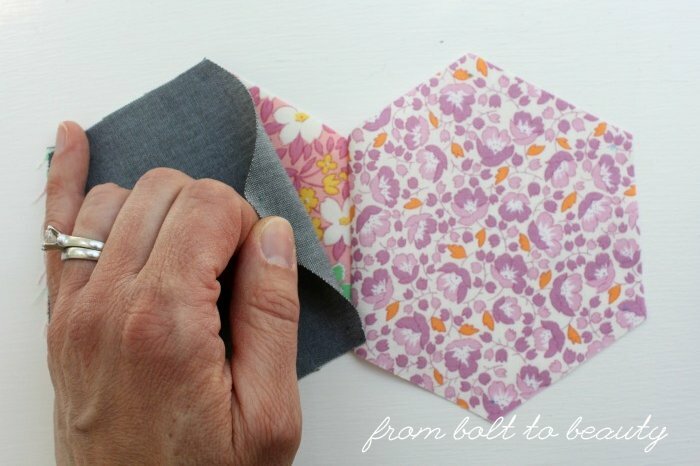 This entails matching the corners of the hexagons, right sides together, and sewing from one mark to the other on the edges you want to join. Note: If you sew beyond one of your marks, you’ll be sewing into the seam allowance, which can cause unpleasant puckers on your quilt top. 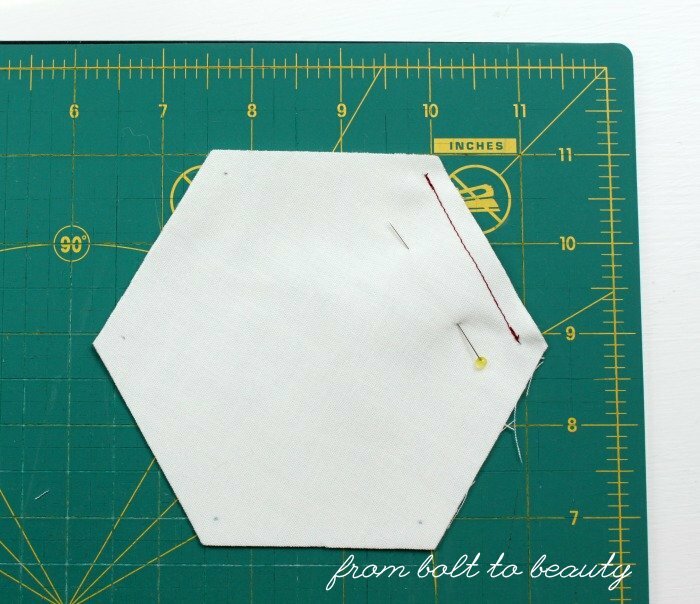 Also: Sewing hexagons requires sewing on the bias a lot—be careful not to pull or distort those bias edges as you sew them. Check out this example that uses dark red thread to show where the seam starts and stops. I used my hand wheel to start precisely on the pencil mark, and I pinned the two hexagons together before sewing. I also backstitched at the beginning and ending of the row of stitches. 2. Match the corners of the third hexagon with one of the first two hexagons, right sides together. 3. Finger-press the first seam out of your way, so you don’t catch it in the seam you’re about to sew. 4. 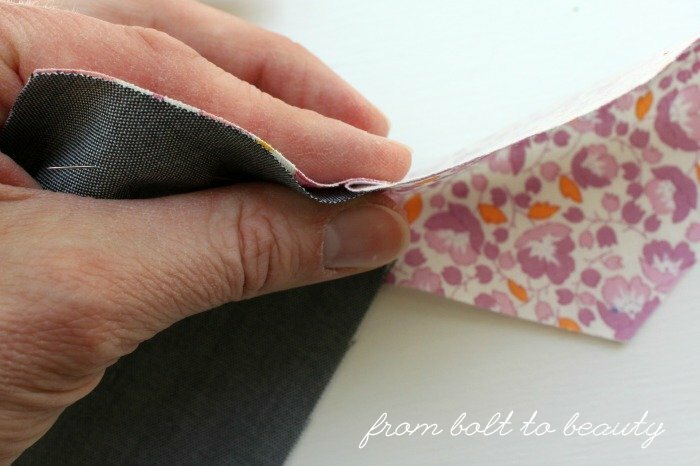 Use two pins, one along the seam you will be sewing and one along the seam allowance you want to avoid sewing into. 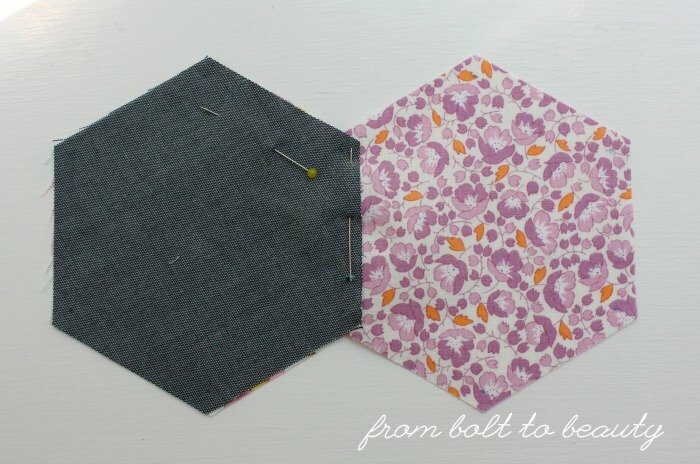 Sew one seam at a time, without pressing the seams, and pin as necessary to avoid those seam allowances. 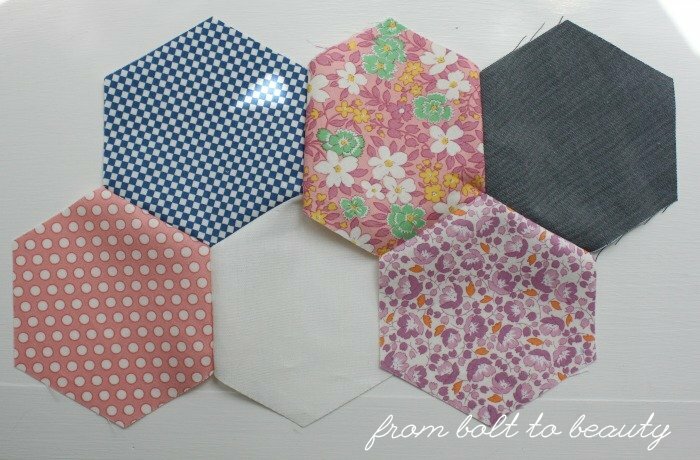 Even though you’re sewing manageable trios instead of columns, at some point you will need to deal with large swaths of hexagons. 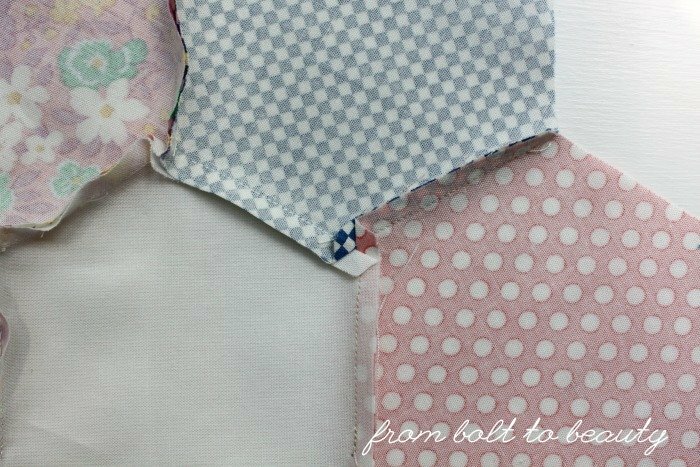 Divide up your quilt top in whatever way works for you. It may help to take a few pictures of your layout with your phone. That reference will ensure you don’t sew anything incorrectly! At this stage, you can press your seams. (See my update, above, for an alternative approach.) 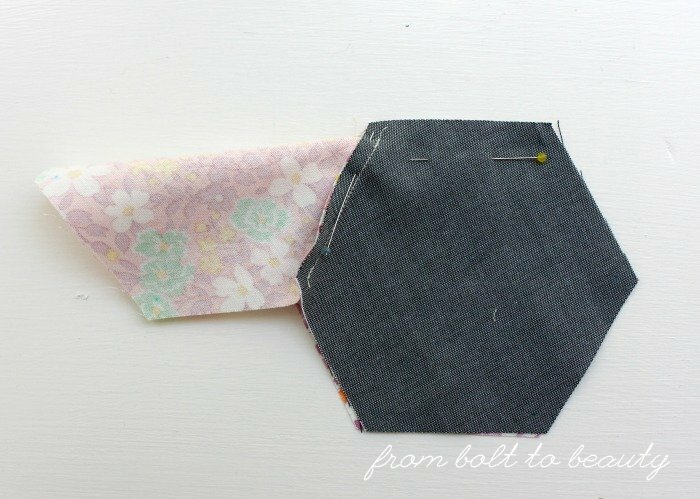 Start with the intersection of any trio of hexagons, and press the seams to one side. In the picture below, I pressed the seams counterclockwise around the intersection, but I could have just as easily pressed them clockwise. The way that first intersection is pressed affects the intersections adjacent to it, as you can see in the next picture. The two top intersections are pressed clockwise, and the bottom two are pressed counterclockwise. Remember that you are working with many bias edges. Try not to distort the fabric as you press. Continue until you have pressed the entire quilt top. 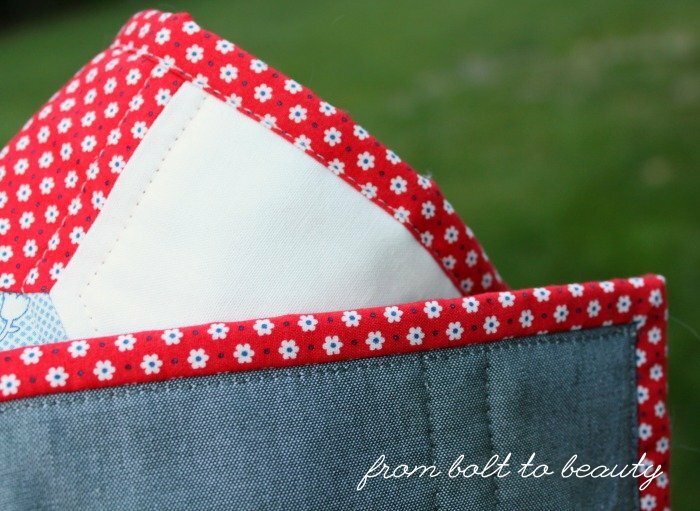 With all the seams press, you can trim your quilt top and complete your project. I think the key to a positive hexagon-piecing experience is patience and precision. 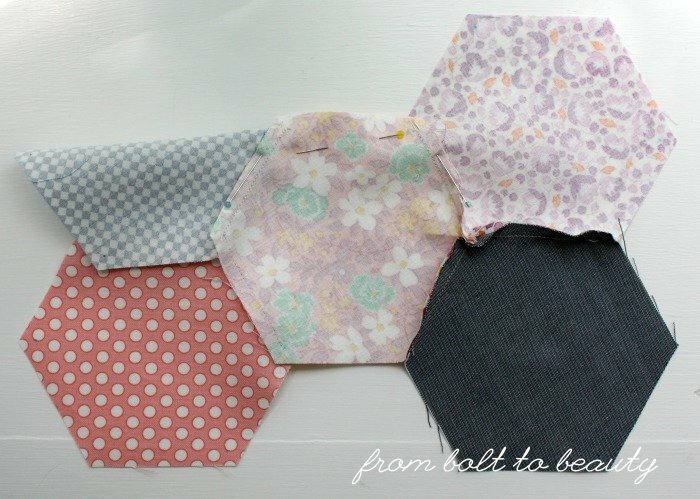 Start small, with a baby quilt like I made, to see whether machine-piecing hexagons is for you. If you give the technique a shot and have any thoughts on fine-tuning the process, please share in the comments. Thanks! 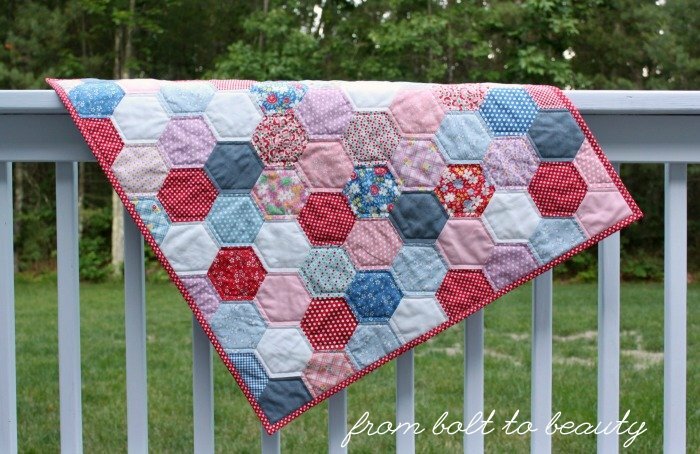 Learn how to machine-piece hexagons here. 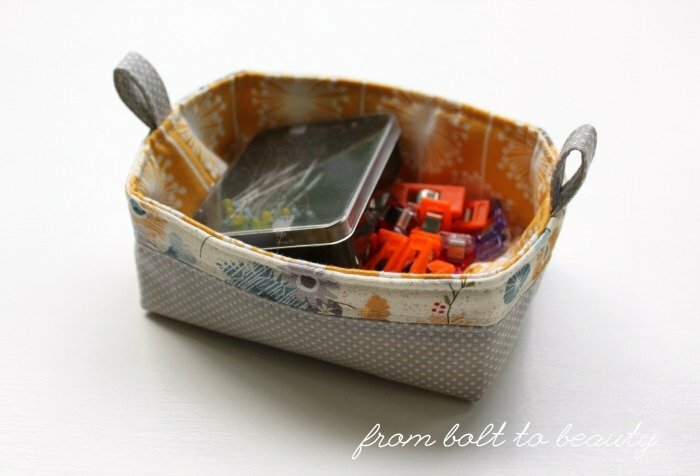 My sewing projects tend to fall into one of two categories: those that I plan far in advance and those I jump into on a whim. 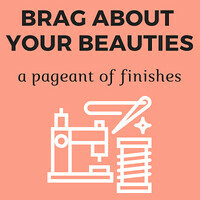 My main objective with the former category is usually stash or scrap busting—I want to enjoy the thrill of using up what I have on hand. The method to my madness with the latter group of projects is almost always skill building. I come across something I think will be a challenge and want to prove to myself that I can make it. 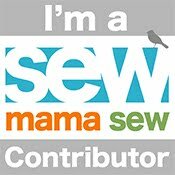 Earlier this year, in a QuiltCon class with Mary Fons, I learned that partial seams are no big deal. Since then, I’ve been thinking ... could the same be said of Y-seams, another quilting skill that gets a bad rap? I was determined to find out. I considered hand-cutting the hexagons for this project—I own Jaybird Quilts’ Hex N More ruler—but I couldn’t muster the energy to use it. Then I thought I would buy some precut hexagons, but I passed on that that option, too. 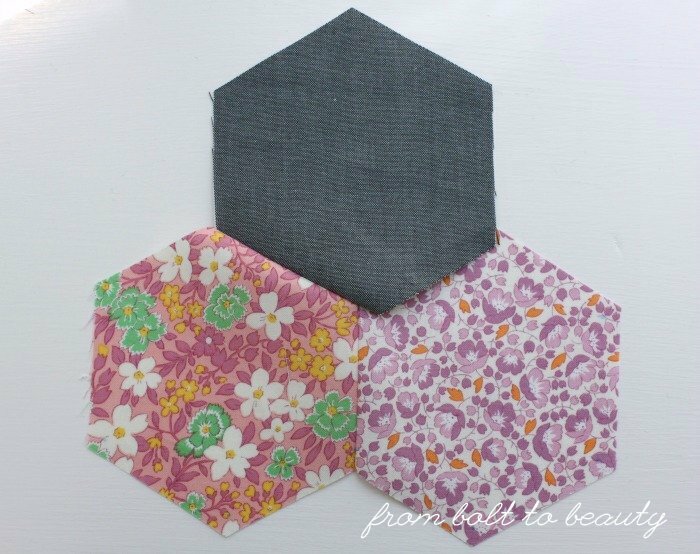 Only a few manufacturers offer hexagon precuts, and the fabric selection is very limited. I ended up buying a hexagon die to use in my AccuQuilt GO! fabric cutter. At the end of my endeavor, I had a nice pile of hexagons cut from my own stash. Could this be the start of a new infatuation with hexagons? Look at that Y-seam dead center. Beautiful, right?! I used part of a layer cake of 30’s Playtime 2015, a Chloe’s Closet collection for Moda. By cutting the 10-inch squares diagonally, I got two 5-inch hexagons and two 2-inch squares out of each layer. I supplemented those with a few prints and solids from my stash. 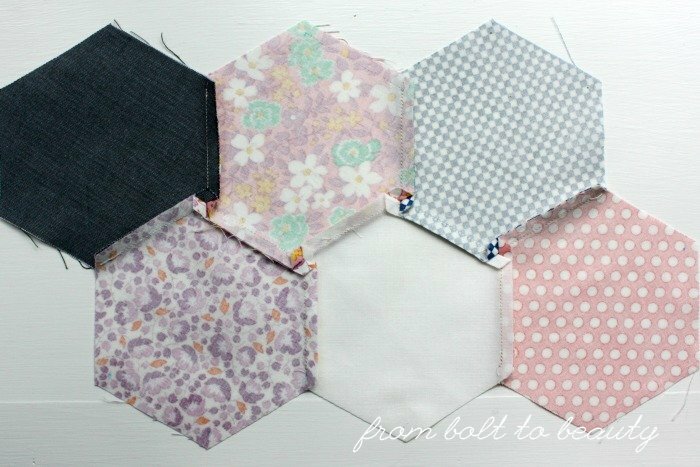 In total, I used 85 hexagons, which created a 30-inch by 31-inch baby quilt. I’m calling it my Happy Hexie Baby Quilt because it makes me so darn happy to have conquered Y-seams. Someday, it will make a baby happy, too, I hope! I used those 2-inch squares from the layer cake on the back. 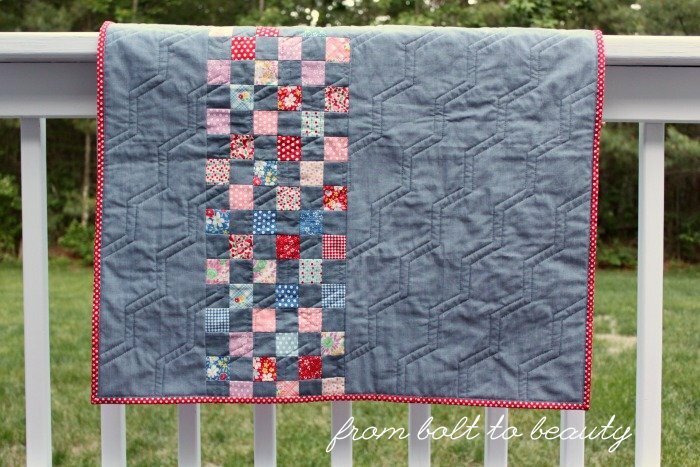 This baby quilt was finished off with a sweet floral binding from the stash. Have you sewn hexagons by machine? (If you haven’t, I’m working on I’ve posted a tutorial about how I approached the task.) Do you hand-piece hexagons? Or does the thought of sewing hexagons—by machine or by hand—send you running?